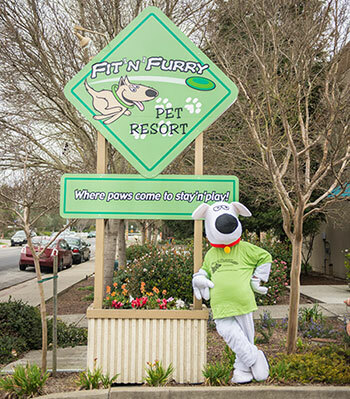 Fit ‘N’ Furry Pet Resort believes, and experts agree, that an active dog is a healthier and happier dog--especially while they are away from home. We offer several discounted dog boarding activity packages that include your choice of play times (single or group) in our three fun and spacious doggie playrooms or outdoor play areas. In addition, your dog can receive lots of hands-on TLC during treat time and at bedtimes with a story and tuck-in, all while enjoying spacious accommodations. Our Reservation Specialist will help you select the right activities for your pet (707) 769-7387. Choose from one of our premium discounted activity packages or create your own a la carte fun! We believe we have the safest playgroups around. A trained staff member is always with our guests during play groups or one-on-one sessions--they are never left alone in a play area. New Clients get 50% off your first boarding stay! Individual Playtime or Pampering – with one of our loving staff members focused on what your dog loves to do. Fetch, Frisbee, lap time, cuddles. Your dog is sure to have a blast! 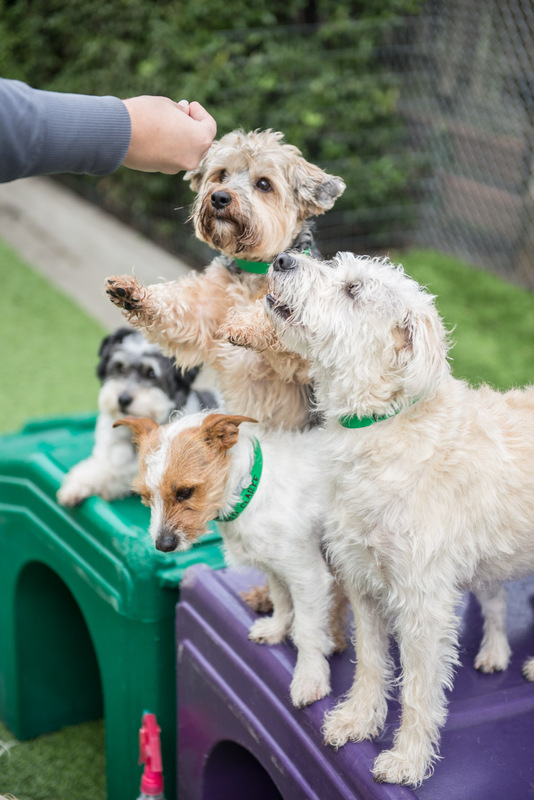 Group Play – dogs who are social and play well with other dogs can have a blast in our safe and supervised group play sessions. Business Walks – an extra trip to the outdoor elimination area. Story time and Tuck ins – just like at home-the ultimate pampering! Homemade Yummy Treats – what fun! Delicious, homemade treats to give your pet a great snack--just like home! Leash manners--No more dangerous or embarrassing pulling! Why not let your dog enjoy our dog bathing services while staying with us? Just let our Reservation Specialist know that you’d like to select. Call us Today: (707) 769-7387 to customize your pet's stay! Dogs need physical and mental stimulation each day. Exercise reduces the incidence of digestive problems and constipation. Exercise helps prevent boredom and channels the dog’s energy in a productive, acceptable direction. It’s a good way to help a timid or fearful dog build confidence and trust. We have personal guides to show potential guests our many amenities. Please call (707) 769-7387 to reserve a tour at our Petaluma, CA facility. Well behaved dogs on-leash are always welcome! We decided to use Fit n Furry because you are so far above any other facility. The professionalism is superior! All the people I came in contact with were very pleasant and helpful. Ryann the young lady I took the tour with was wonderful and made me feel at ease to leave my baby there.